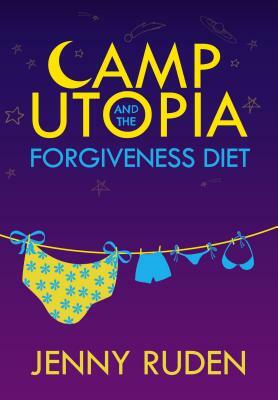 Sixteen-year-old Baltimore teen Bethany Stern knows the only way out of spending her summer at Camp Utopia, a fat camp in Northern California, is weight-loss. Desperate, she tries The Forgiveness Diet, the latest fad whose infomercial promises that all she has to do is forgive her deadbeat dad, her scandalous sister, and the teenage magician next door and (unrequited) love of her life. But when the diet fails and her camp nemesis delivers the ultimate blow, Bee bids sayonara to Camp-not-Utopian-at-all to begin what she believes will be her "real" summer adventure, only to learn that running away isn't as easy-or as healing-as it seems. Her wry and honest voice bring humor and poignancy for anyone, fat or thin, tired of hearing "you'd be so pretty if... insert unwelcome judgment about your appearance from loved one or perfect stranger]." Jenny Ruden has published short stories and essays in "Nerve, Salon, Eclectica Magazine, Literary Mama"and "High Desert Journal." She won an Orlando award for creative nonfiction, was named a finalist in Glimmertrain s short fiction contest, and has been nominated for the Pushcart prize two years in a row. She has worked with teenagers for over ten years as a teacher of Reading, Writing and GED, and has an MFA in Fiction from the University of Oregon. She lives with her husband, two daughters, two basset hounds and cat in Albuquerque, New Mexico. Visit her website jennyruden.com"